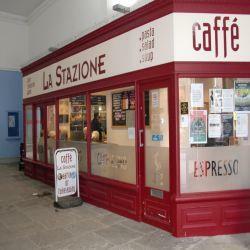 A warm and friendly atmosphere awaits at La Stazione. Delicious food and excellent coffee. Outside seating area under a large awning. Free wireless internet connection for our customers.